Korea-born, Eindhoven-based Joon & Jung‘s Origami Solarcell is a polygonal low-energy LED lamp that is completely powered by the sun’s energy. 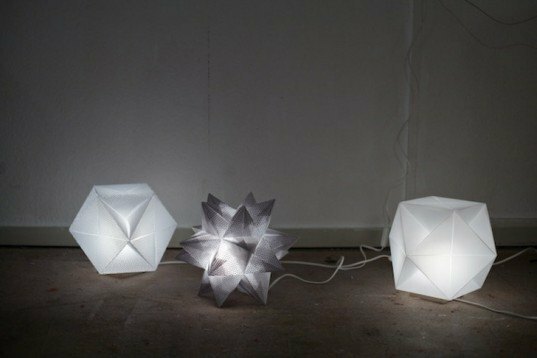 The pendant lights are made from a flexible photovoltaic material that is folded into a 3D lamp using origami techniques. The flat-pack multi-faceted lights are still in the prototype stage, but we hope to see these innovative, energy-efficient designs hit store shelves in the near future.